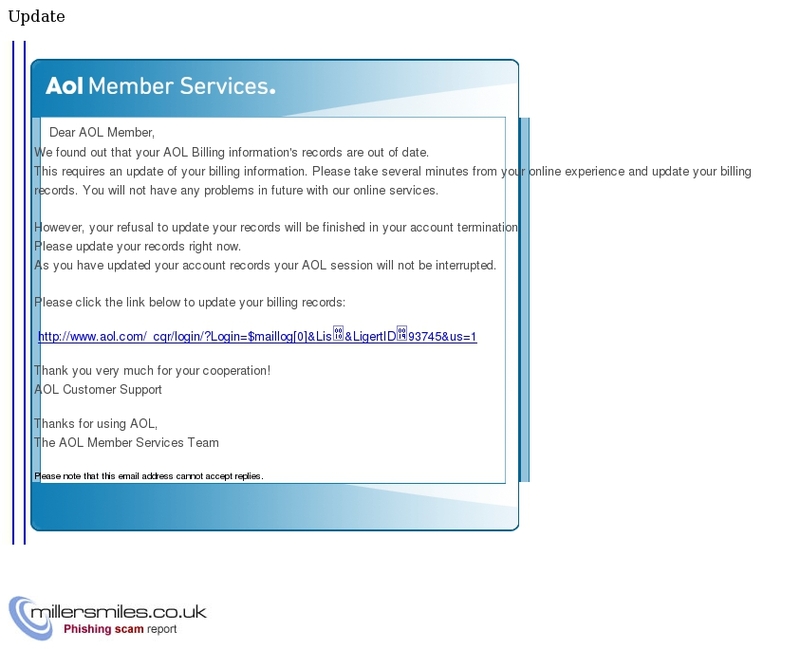 Email asks you to confirm/update/verify your account data at AOL by visiting the given link. You will be taken to a spoof website where your details will be captured for the phishers. AOL never send their users emails requesting personal details in this way. The anchor text appears as a legitimate URL, but don't be fooled - clicking on it will take you to a phishing site! information's records are out of date. problems in future with our online services. will be finished in your account termination. Please update your records right now.